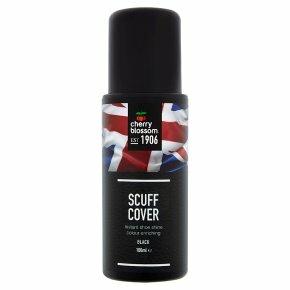 Instant shoe shine colour enriching.Instant cover for marks and scuffs. Dries to an instant shine. Directions: Remove all surface dust and dirt. Shake bottle - press applicator against shoe without squeezing bottle. Spread evenly. Allow footwear to dry before use. Apple to an inconspicuous are first to test suitability. Rinse sponge thoroughly after use. CAUTION:<br>Keep out of reach of children. In case of accidental spillage protect all surrounding areas.